NUKU is a unique centre for puppet and visual arts located in the historical Old Town of Tallinn, which comprises a professional theatre, a puppetry museum and an international festival of puppet and visual theatre. Artistic director Mirko Rajas says: "We are the only theatre in Estonia that, side by side with its daily activities and creative work, is committed to developing and preserving the genre of puppetry. Our theatre has a wide audience: we play for children and families, teens and adults." Each season at NUKU sees on average eight premieres of new productions, which reflect the theatre’s goal to tell captivating stories through exciting forms that speak to viewers of all ages. The repertoire of NUKU Theatre includes numerous productions that use means of puppet and visual theatre to combine various theatrical forms from classic drama to musical and multimedia theatre. NUKU sees the arts of puppet and visual theatre as a chance to turn the invisible into visible, to animate the inanimate, and through visual images highlight that which is normally hidden behind words. This is why the productions of NUKU Theatre are particularly focused on the visual side, which may comprise elements of various theatrical and art forms (puppet and object theatre, dance, the use of multimedia, music, visual arts, etc.) Through all these means of expression, NUKU Theatre wishes to offer a unique, imagination-fi ring and complete theatrical experience. 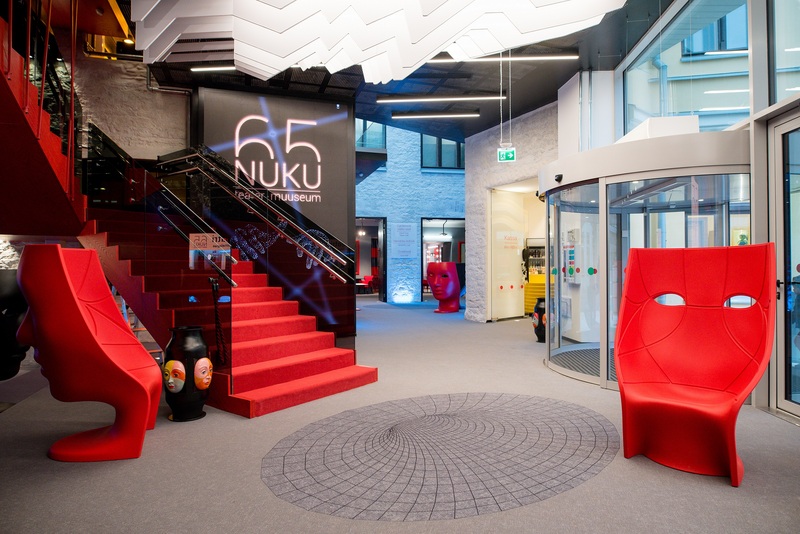 NUKU Theatre (formerly known as Estonian State Puppet Theatre and Estonian Puppet and Youth Theatre) was founded in 1952 and is to date the only professional puppet and visual theatre in Estonia. It was founded on the initiative of puppeteer and director Ferdinand Veike, who steered its artistic course for nearly three decades. Rein Agur, who had a puppetry degree from the Leningrad Institute of Theatre, joined the Puppet Theatre in 1963 and at the end of 1960s proved to be a fundamental reformer of the puppetry genre, bringing actors on stage alongside traditional performances with glove and rod puppets. In 1981, Rein Agur became the artistic director. The theatre was constantly experimenting. Adaptations of Shakespeare and Estonian folklore were added to its repertoire, which consistently offered something for adults as well. Eero Spriit, who took over as the artistic director in 1993, tried to unite the elements of drama and puppetry. This line was continued by Evald Hermaküla in 1999. In 2000, Meelis Pai became the head of the Puppet Theatre and Andres Dvinjaninov its artistic director. Their goal was a theatre for children and youth that would offer both puppet as well as drama performances. In the autumn of 2002, the fi rst class of master’s level puppetry students started their studies at the Drama School of Estonian Academy of Music and Theatre. 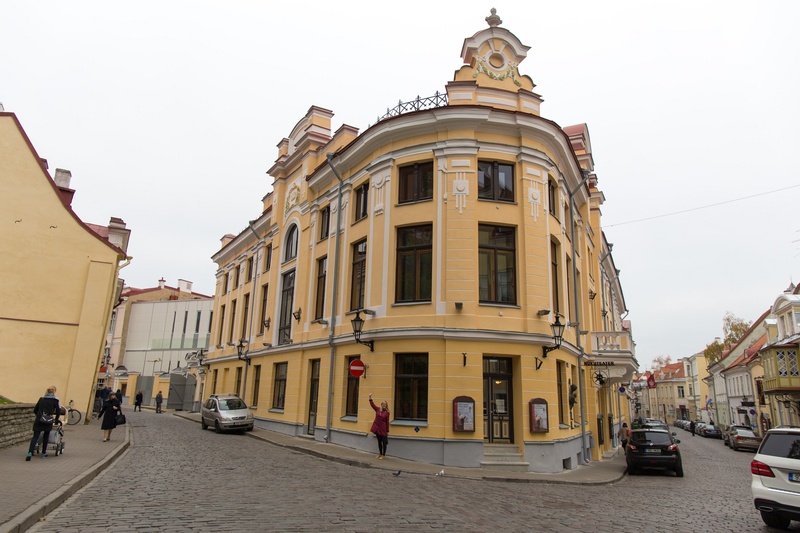 The creative as well as the administrative personnel went through a change, the theatre building was renovated and the Puppet Theatre began once again gaining recognition at international festivals. In 2006, a new venue was opened – the courtyard was covered with a roof, thus creating a hall that seated more than 600 spectators. In those years, the theatre was renamed Estonian Puppet and Youth Theatre, which reflected its goal to commit more to staging puppet plays for adults and musicals popular among teens. In 2007, the theatre sent seven young men and women to the Turku Arts Academy in Finland to acquire higher education in puppetry. In 2011 when the artistic director was Vahur Keller, they joined the theatre as actors and directors. In 2010, a puppetry museum was opened in the neighbouring building in Nunne 8 and joined with the theatre under the name NUKU. 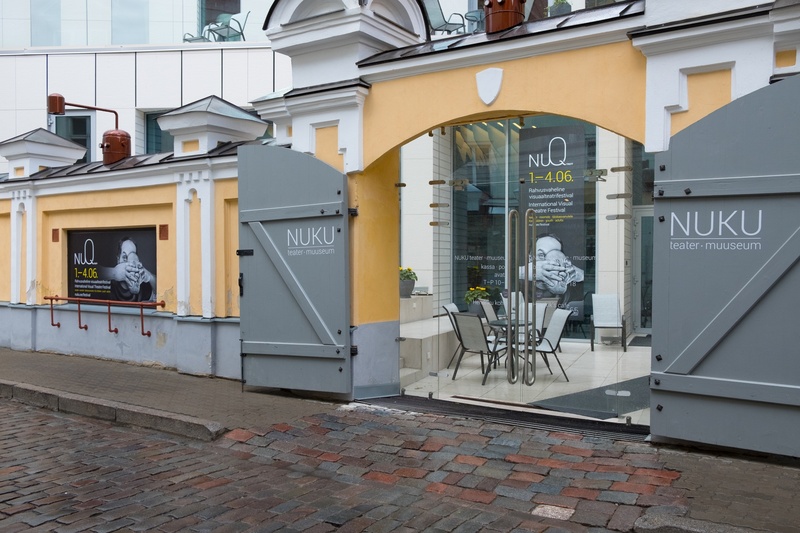 NUKU Foundation was established at the beginning of 2013 and since May of that year, the head of NUKU Theatre and Museum is Joonas Tartu. Led by the new artistic directors – Taavi Tõnisson from 2013 to 2017 and Mirko Rajas since May 2017 – the theatre is committed to telling moving tales with contemporary means of expression of puppet, object, visual and drama theatre. In November 2016, a new extension was opened between the theatre and museum buildings; at the heart of it is the 400-seat Ferdinand’s Hall. The theatre, which had waited for a grand hall for decades, and the museum, which introduces the world behind the curtains and offers numerous educational programmes, were thereby united into a unique and versatile ensemble that offers fi rstrate puppet and visual theatre experiences for audiences of all ages. Learn more about the history of the theatre's buildings on Lai street 1 & 3.